For our purposes, we will accept that Deuteronomy was written by Moses. In Deuteronomy 1:5 it says, ‘Moses began to explain God’s law.’ In Deuteronomy 31:9 it says, ‘Moses wrote down this law.’ In Deuteronomy 31:24 it says, ‘Moses wrote in a book all the words of God’s laws.’ 2 Kings 14:6 refers to ‘the Book of the Law of Moses’. Then it refers to Deuteronomy 24:16. Jesus said that Moses wrote the book. (See Matthew 19:7-8 and John 5:46-47.) In Mark 12:19, the Sadducees said that Moses wrote the book. In Acts 3:22, Peter says that Moses wrote the book. Also, Paul says that in Romans 10:5, 19. The devil tempted Jesus when he was in the desert and Jesus used the book of Deuteronomy to answer Satan. Since Deuteronomy includes things about Moses’ death, we can also conclude that Scribes added a few things to Deuteronomy. By Chapter 31 verse 6, Moses had finished his work. He was now 120 years old and he could not continue to lead them. Moses appointed Joshua as the new leader, although God was their actual leader. At this point, God had caused them to defeat Sihon and Og. In the future, God would cause them to defeat other nations under the leadership of Joshua. Moses then tells them, that both Joshua and the people should be strong and have courage. God would be with them. They need not be afraid. What are the things you are afraid of? Why? What are the tips that you have learned in overcoming your fears? 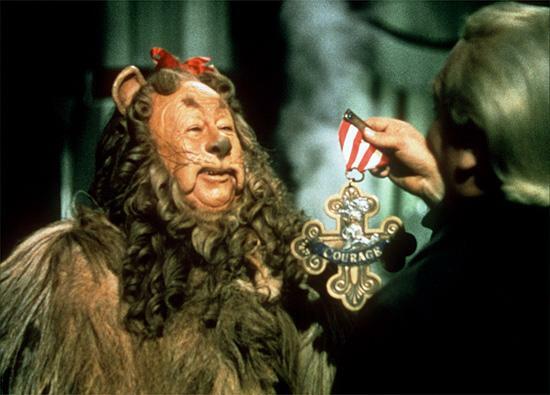 Are there differences between narcissism and courage? What are they? What dangers are there in not understanding those differences? What are the things we need to do (as Christians) to obtain the type of courage that Moses calls us to have? What risks come with being courageous? Luke described the city called Philippi as a Roman ‘*colony’ (Acts 16:12). The emperor Augustus allowed retired soldiers to live there after they had supported him in a battle in 31 BC. As a Roman colony, its citizens possessed the same rights and laws as those who lived in Italy. Paul and Silas, with Timothy and Luke, established the church there after they crossed from Asia into Europe (Acts 16:12-40). Paul visited Philippi again on his third journey (Acts 20:1-6). It was a group of Christians of whom Paul was very fond. He called its members his ‘joy and crown’ (4:1). The Christians in Philippi were not rich, but they supported Paul with more than one gift of money. They also gave money for the poor Christians in Jerusalem (2 Corinthians 8:1-5). thank the Christians at Philippi for the gifts that they had sent him by way of Epaphroditus[re]http://www.gotquestions.org/Epaphroditus-in-the-Bible.html[/ref]. inform the Christians at Philippi about his own circumstances. He also wanted to tell them that Epaphroditus had recovered from his dangerous illness. He was returning to Philippi. appeal for unity and for the end of quarrels in the church. to warn them about false doctrine, especially that of Jewish Christians who insisted on circumcision for Gentiles. to urge them to remain loyal to their faith and to stand firm against opponents. Paul was in prison when he wrote this letter. He was not sure of the result of a trial. Some writers suggest that the prison was in Ephesus or Caesarea. But it is more likely that he was in Rome. He probably wrote this letter at the end of the two years that we read about in Acts 28:30. Paul had brought the gospel to Philippi. But he still realized that it was God’s work. He knew that God would continue His grace to the Christians at Philippi. What God has begun, He will complete. The ‘day of Christ Jesus’ is the day when Jesus comes again. Do we know similar cities where the residence are all typically sharing common interests like military service? What are the attributes of citizenship that military cities tend to reflect? What can we learn from them? What goes wrong when there is no unity among a congregation? How does false doctrine creep into a church? What are the protections against false doctrine? Why is the simplicity of a strategy built upon a faith in Christ the only successful long term strategy for a group of Christians? Why was Paul so confident? How does a congregation build its confidence that God is in charge and will win?